Please,Welcome, new resident on AVIVmedia fm ! 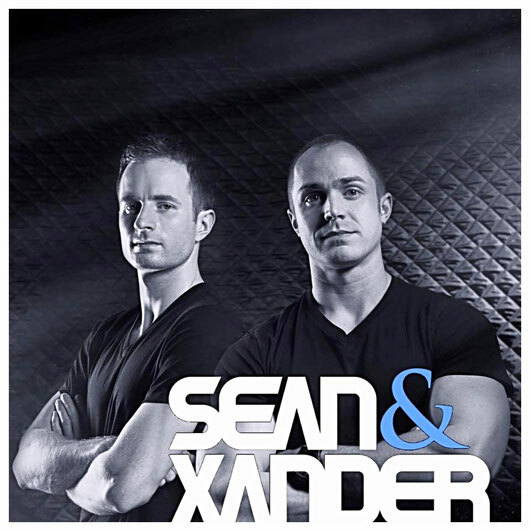 Sean & Xander (Sean Gorey & Alex Lueth) are a production and DJ duo storming out of Seattle, Wa, USA. Ferry Corsten, Giuseppe Ottaviani, W&W, M.I.K.E. Push and more. Their tracks have become a staple to many prestigious radio shows and rocked dance floors and festivals around the world including Ultra and Luminosity Beach Festival. Shorty after teaming up with Maximized Music Management in 2015, the duo released tracks on: M.I.K.E. Push Studio, Black Hole Recordings, Coldharbour Recordings & High Contrast Recordings. From the prime time track that was the first release on M.I.K.E. Push Studio, to the lush vocal atmospheres and driving energetic bass-lines of their following releases, the duo consistently creates unforgettable experiences at their performances and on the air. These guys are no strangers to adding their own style and vision to existing music. With their 'The Fall of Skynet Bootleg' of the hugely popular Hollywood film Terminator 2: Judgement Day, as well as other projects currently in the works, be prepared for serious surprises on the dance floor! Inspire is an energy-packed show that combines the art of DJing with meticulous track selection. Each show is a journey filled with contrast, emotion, and unique moments. Inspire airs worldwide from the Americas to Russia and throughout Europe.